Toyota the Japanese largest automobile manufacturer presented its sub-compact, semi-luxury car in 1966. Word Corolla was driven from the Latin language which meant a small crown. So for sedans, i.e. small cars Toyota crown was replaced by the name of Toyota corolla referring to its small size. Within one decade till 1974 it appeared on charts as best-selling car worldwide and it still one the world’s best-selling cars. This car brought ultimate success for Toyota Company. Toyota sold 40 million corollas all around the world which was a benchmark. Toyota achieved this milestone in its eleven generations. It’s every generation went equally popular in the market. Early models of corolla were presented in the market as rare wheel drive but through the evolution of many generations now it is front-wheel drive. Four-wheel power version also exists in the market. Toyota Corolla sedans first generation remained in the market till 1970. In 1968 Sprinter was present as a faster version of it. In 1970 Toyota released its second generation with rounded body structure which brought a lot of elegance to its design. The third generation was designed in 1974 it was a bigger and heavier version again with rounded body structure. 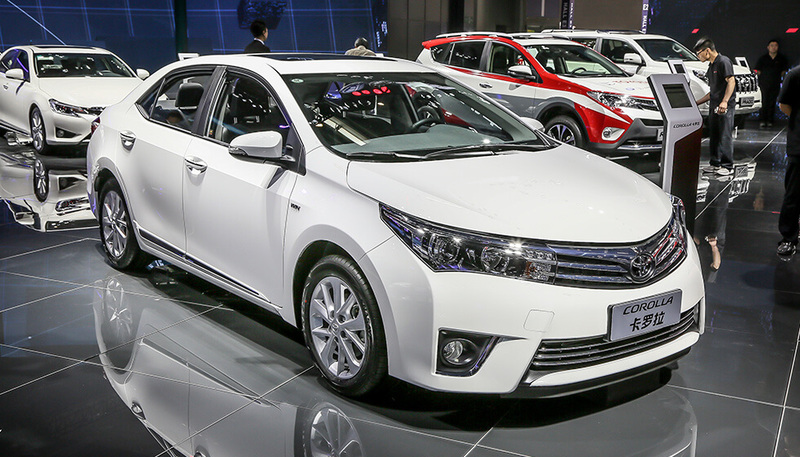 The latest version of Toyota Corolla Sedan car was launched in the year 2013 which is still being sold aggressively in the market adding great numbers to the success story of Corolla sedan. During its eleven generations, corolla went through a great evolution in terms of its exterior, interior and technology. If you are interested in buying a Toyota Corolla sedan so you can even avail the option of buying used one. Used cars are comparatively cheaper and if you buy them from a reliable source so they are of great worth. Car Junction is one of the oldest and most reliable used car dealers, it has been serving almost the entire world and has earned great word of mouth for selling good quality cars at economical prices.